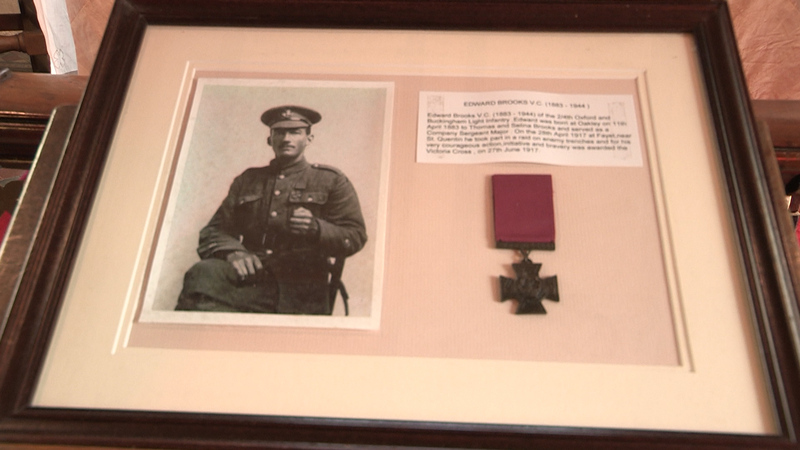 CSM Edward Brooks VC was born in Oakley and awarded the Victoria Cross for his action at Fayet, near Saint-Quentin, France on 28 April 1917 where he single-handedly killed two German gunners and captured their machine gun, preventing many casualties. A government-led initiative aims to provide a lasting legacy of Victoria Cross recipients from the First World War, with the laying of a paving stone in the birth place of each of the 454 men. His Grandson tells us about his achievements in the First World War and Oakley Parish Chairman John Mole talks about all the preparation and hard work that went in to this ceremony.